As a follower with hearing loss, I am writing to express my concern about the lack of captions with your YouTube video streaming of The 700 Club broadcasts. On several occasions, myself and friends with hearing loss have wanted to watch online broadcasts events on your Website, only to be unable to understand the information you present due to lack of captions. With the Centers for Disease Control and Prevention reporting that 34 million U.S. adults have hearing loss, it would be in CBN.com’s and The 700 Club’s best interest to provide captioned streaming as a way to appeal to this large group of potential viewers. Imagine the level of support and PR your network and site would receive if you launched captioned Internet broadcasts to appeal to this large portion of the U.S. population. 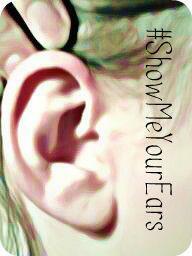 I welcome your thoughts and will be following up with you on behalf of the millions of Americans with hearing loss. Let your voice be heard! Contact CBN.com about its lack of captions with its YouTube videos. Feel free to adapt Lipreading Mom’s letter above. Any large church that can post online sermons should highly concider the ramifications of not close captioning…keeping deaf from heaven and leading hoh into misunderstanding the Bible. Now what would Jesus do? Kathy – Excellent points. May those who don’t have ears that hear well understand everything that a hearing person does. Blessings to you! I’d like to share my perspectives with you as a captioning professional. In the case referenced in the previous blog post, the captioning has likely already been done for the original television broadcast, since that’s been required by the FCC for several years. The challenge program producers have is to identify, locate, and convert those assets when they repurpose the content online. Additionally, you should note that the version of the video that you linked to is not the official 700 Club version, but rather one that was posted by a user called “God Is Holy” with the user name GoldenLightD… and is likely an illegal version at that. There is no technical reason why, if captioning has already been created for the TV broadcast, it cannot be saved and repurposed for YouTube delivery. In fact, even if they didn’t save the file for whatever reason, there is software available that can detect the captioning in recordings of broadcast material and create a file that could be made into YouTube captioning… but you do need access to a pretty high-quality recording. By the time the video is compressed for YouTube, that data has typically been destroyed. Oh, and the software isn’t free, of course. We have about $10,000 in software to handle our captioning, and we will probably spend another $2,000 soon for increased capabilities. Of course, all of this assumes that the network is subject to the same FCC rules as other broadcasters for including captioning on the original broadcast. It is possible that they have been granted an exception to the rules, but the FCC doesn’t often do that. Don – We need to collaborate on advocacy efforts to improve captions on the Internet. Please send a follow-up comment here or on my Facebook page to discuss captioning ideas. Sure thing – what do you have in mind? Don – I received a response from The 700 Club. Apparently, they think I am advocating for captions on their TV network, which they already have. I will write back the network to clarify that I am advocating for captions on their Web site videos, a big difference for hard of hearing people who can’t access their programs on TV, only by Internet.